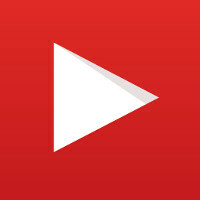 Friday, Google announced that YouTube for Android will now support 360 degree videos. To do this, Google met with the manufacturers of 360 degree movie cameras such as Bublcam, Giroptic’s 360cam, IC Real Tech’s Allie, Kodak’s SP360 and RICOH THETA. The purpose of these get togethers was to make sure that YouTube would be able to play such videos made with their cameras. For now, those shooting 360 degree videos will have to include a script that will allow YouTube to upload the video with the correct metadata. In the future, Google hopes to have this done automatically. With the update to YouTube for Android, users can move their phone or tablet around while a 360 degree video plays, in order to catch all of the different angles on the screen. And while this feature is available now for Android users, Google is working feverishly to bring this to iOS. You can check out some more of the technology involved in this process, and download the necessary script by clicking on the sourcelinks. Google has been pushing YouTube hard this year with a kids spin-off of the site along with the 360 degree support. What could be next for YouTube? So will there be a goolgle cardboard VR app where you can look around these 360 videos? Sounds cool and all.. but how bout bringing back 1080p first google. What's the point of having higher res/powered devices when your feeding us fuzzy 720 videos. Thanks guys! Got it resolved by by clearing data and cache. Got the z3 btw. Google needs to clear this s**t up cuz there are many people that experience this after updates and such regardless of device type. Jak What is a 360 video? People only see about 180 at best? Another buzzword like MS hologram? Edit: Nvm, I remember watching one video with 360 support. It's quite amazing actually. On the Android app, not only can you rotate the device to look around, but you can also use your finger to look around. Another PA article littered with grammar issues. What is wrong with this site?